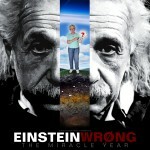 This music video is about the kidnapping of Stephen Hawking and is set to the theme music for the documentary film “Einstein Wrong – The Miracle Year”. According to the director, it was inspired by the desire to force scientists to tell the truth by putting a symbolic “gun” to their head. 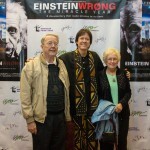 Theme song and soundtrack to the movie Einstein Wrong – The Miracle Year by Michael Ruggieri.